Tallahassee Mayor Andrew Gillum conceded Florida's gubernatorial election on Saturday as a recount of ballots neared its end, and the Democrat congratulated Republican former congressman Ron DeSantis on becoming the state's next governor. "This has been the journey of our lives. We've been so honoured by the support that we've received," Gillum said in a video statement. "We know that this fight continues, in spite of the outcome of this election." 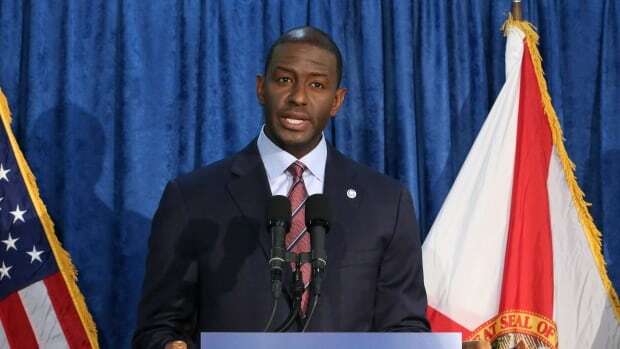 Gillum's announcement came hours after U.S. President Donald Trump said on Twitter that Gillum will be a "strong Democrat warrior" and a "force to reckon with." Despite a Republican winning the race for governor, counties across the state are still in the middle of a hand recount for two statewide contests, including the race for U.S. Senate. Counties have until noon on Sunday to report official results to the U.S. Department of State.